Log into your account and navigate to the invite page. Either fill our your friends’ contact details (get their permission first) or share your unique referral link. Ensure they sign up via your link. They’ll get £25 credit and once they’ve rented or hosted you’ll get your credit – either £15 or £55. Get hold of your friend’s referral code (they can share it easily by social media or email). Or give them permission to use your contact details. Sign up for an account via the referral link – enjoy your £25 credit! To unlock your friend’s bonus you’ll need to rent an Airbnb location or act as a host. Airbnb is an amazing way to rent accommodation across the world that you’d never find on a normal hotel or apartment website. If you’ve used the site before you can send a friend £25 worth of Airbnb credit. 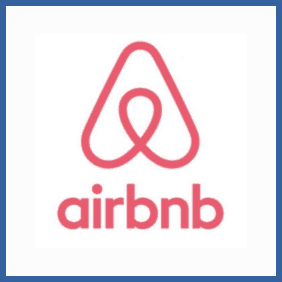 In return, if they travel with Airbnb you’ll receive £15 and if they act as as host – putting up their own accommodation for rent – you’ll get £55! Thank you! I book houses on AirBnb for all my trips and I advise it to everyone.